Online designer jewellery marketplace Velvetcase.com has raised close to $2 million in a second round of funding led by Uniqorn Ventures Fund with participation from angel investors including TV Mohandas Pai and S Somasegar through online deal-making platform LetsVenture, it said in a statement. Existing investor The Chennai Angels also participated in the round. In 2014, the startup, operated by Mumbai-based Bodhi Brands Pvt. Ltd, had raised $1 million in its first round of funding from The Chennai Angels (TCA), with participation from Arihant Patni, co-founder of Nirvana Venture Advisors; Jacob Kurian, partner at New Silk Route Advisors; and Jerry Rao, former CEO of MPhasiS. The new funds will be used for expanding technology, marketing and seller acquisition services, it said. Shiraz Bugwadia of Uniqorn Ventures Fund will join the startup's board. Velvetcase is an online marketplace of curated fine jewellery from designers across the globe. 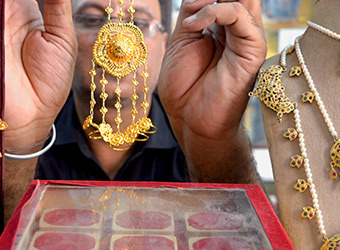 It claims to have over 300 jewellers from over 25 cities in India on its platform. The startup was founded in 2012 by Kapil Hetamsaria and Runit Shah. A MBA from The University of Chicago, Hetamsaria earlier held various key roles at Microsoft, Bill & Melinda Gates Foundation and McKinsey & Co while Shah previously worked at Crystaline Exports Pvt. Ltd and General Motors. Over the last three months, its core team has been strengthened with the hiring of experienced executives from the likes of Amazon, MakeMyTrip and Pepperfry. "The intersection of jewellery domain knowledge with experience of building cutting-edge technology is rare to find and build, and we have done it reasonably well at Velvetcase," Hetamsaria said. In the $40 billion jewellery market is India, Velvetcase mainly competes with Tiger Global Management-backed Caratlane and Accel Partners-backed BlueStone. Last month, Tata Group's Titan Co. Ltd struck a deal to buy a majority stake in Caratlane—a startup which has raised over $50 million in tranches from one of the country's top investors Tiger Global, according to VCCEdge, the data research platform of VCCircle. Interestingly, another significant player in the space is BlueStone, which is backed by Accel Partners, Kalaari Capital and Saama Capital, has also got backing from former Tata Group chairman Ratan Tata. BlueStone, which was under one-fifth the size of Caratlane in terms of revenue in FY2013-14, closed the year ended March 31, 2015 with a more than three-fold increase in sales at Rs 59.8 crore. Its net loss also doubled to Rs 42.8 crore in the same period. Another rival Melorra raised $5 million from venture capital firm Lightbox Ventures in January this year.